Robots are typically faster than people in many applications and will create more consistent loads without product damage. The robot may provide an additional benefit of continuing production during breaks, lunch or overnight. It is easy to assume that the majority of robot customers are in larger, more traditional industries that deploy dozens of work cells in the course of production. While it is true that automotive, electronics, and consumer goods manufacturers are major users of robots, small businesses - enterprises with fewer than 100 employees and 10 robots or less - represent a growing segment of the market for robots. While robots have demonstrated they can meet the economic requirements for small business owners, many people are only just beginning to appreciate their aptitude for jobs with small batch sizes - many small manufacturers make a multitude of items in the same family of products. Robot manufacturers have gone to great lengths to make programming, operating and maintaining robots a simple and manageable process. However, resistance by small companies to invest in robotics is an obstacle to overcome by robot makers and integrators. But thanks to a steady decline in prices, robots have become very affordable to small business owners. "Most robot manufacturers offer leasing programs as another viable alternative. Other financially attractive options include used and reconditioned robots,” says Ann Smith, director, Communications & Market Research, ABB, Inc.
"This can make it much more affordable to both the small and mid-size firms.” Over the past five years, use of robots in packaging systems by small companies in the food/beverage, dairy products, and battery sectors has increased and new, exciting applications come up very frequently. Developments in special end-of-arm-tooling, vision technology and the controller technology have expanded the things that robots can do. When it comes to the packaging of products, robots generally fit into three main categories: pick and place applications (where the goods are packed into trays or secondary packages), feed placement (where products are prearranged on a conveyer to ease future packaging) and palletising (pallet loading and unloading). 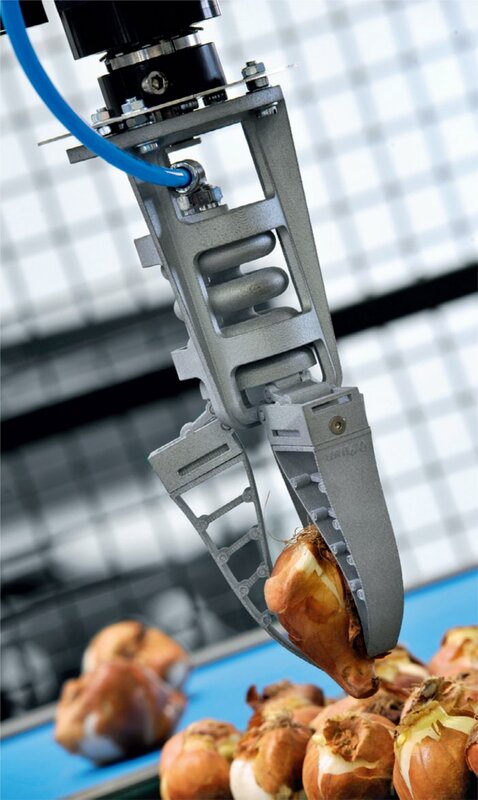 With Festo’s DHDG adaptive gripper, fruit, bulbs or pressuresensitive food can be handled quickly and reliably. If tulip bulbs and soft chocolate eggs are gripped with conventional metal grippers or vacuum functions, the result is a high level of loss and damage. This goes against the grain of the two central objectives of automation technology: speed and quality. The bionic adaptive gripper, on the other hand, is light and flexible. It consists of a pneumatic actuator in the form of a bellows and three gripper fingers arranged in the Fin Ray pattern of the tail fin of a fish. The basic structure is made up of two flexible bands which meet at one end to form a triangle. Intermediate stays are connected to the bands at regular intervals by articulated joints. This flexible design enables the gripper fingers to adapt to the shape of a workpiece when pressure is applied laterally – just like a human hand, but much faster. B&R Industrial Automation specialises in standards-based, scalable and modular control systems integrating logic, motion, robotics, human-machine interface (HMI), safety, I/O and data acquisition in a unified software development environment. At PACK EXPO International 2012 at the end of October in Chicago, the company presented its latest developments for the packaging market. Several other OEMs at the show also exhibited packaging machines using B&R technology. B&R’s introductions included the latest Automation Panel HMI with multi-touch functionality developed specifically for industrial environ ments. The ergonomically designed, 21.5in full HD touch screen device resembles an oversized iPad. The multi-touch technology can make machine operation more intuitive, faster, and safer. B&R complements its line of distributed, machine-mountable IP65 rated servo and stepper drives with the new ACOPOS Multi65, a new family of integrated servo motor/drives that feature flexible mounting and cabling options, onboard I/O and advanced safe motion functions. In contrast to hardwired safety PLCs and circuits, B&R’s integrated safety solution runs on the same Ethernet Powerlink network and integrates with B&R controllers and I/O. ABB’s smallest ever multi-purpose robot is the compact, agile and lightweight, six-axis, IRB 120. Ideal for pick and place applications, the IRB 120 is now available as an ISO 5 (Class 100) cleanroom version, ideal for food and beverage, pharmaceutical and packaging applications. The small robot offers all the functionality and expertise of the ABB range in a much smaller package, helping to reduce the footprint of robotic cells. Its size and low weight makes the IRB 120 a cost-effective and reliable choice for generating high production outputs in return for a minimal investment. Tasks such as affixing labels to a product may be setup using ABB’s MINT programming language, a structured BASIC-like language, optimised for motion control. It speeds and simplifies the programming process by providing an easy approach to programming. Beckhoff has been a long-time proponent of open controls architectures, full system interoperability, seamless machineto- machine communication and lean automation solutions. Open communication interfaces support integration into existing visualisation and control systems. Depending on the requirements of the automation components, the Windows operating system enables the installation of further software components (in addition to TwinCAT) on the same hardware. The Industrial PC as an open, uniform platform facilitates communication between the selected components. With its PC-based control system, Beckhoff has created a flexible standard to accommodate a wide range of requirements from different industries. This led to the development of a uniform, fully scalable and, most importantly, open system. 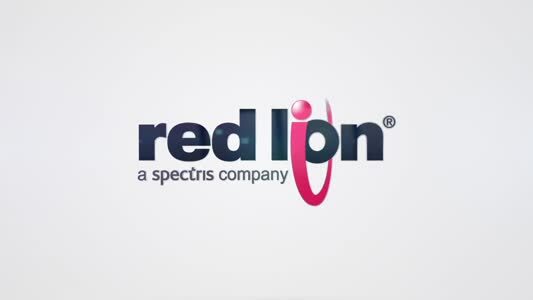 This openness, both in terms of the software and hardware interfaces, helps machine builders adapt their systems to today’s diverse and changing industrial requirements without repeatedly incurring high implementation costs and effort. PC-based control technology can control and monitor the complete process chain for individual packaging machines and complete packaging lines: Beckhoff Industrial PCs and the TwinCAT automation software can be used to manage a wide range of packaging functions such as filling, forming, sealing, labelling, collecting, re-packing and palletising – and, the company claims, at a lower overall cost than traditional PLC and motion control systems. TwinCAT PLC programming is based on the international IEC 61131-3 standard. Practically any packaging application can be implemented with highly flexible master and slave axis combination options and diverse, highperformance motion functions. TwinCAT 3 is now globally available for download from the Beckhoff website. Bosch Rexroth offers the packaging and processing industry a comprehensive range of automation products and systems, including servo drives, HMIs, motion logic and robotic controls, I/O systems, conveyors, linear motion components and modules, pneumatic valves, actuators and accessories Demands for greater speed and efficiency spurred the American division of the Cama Group to develop a new packaging machinery innovation called the Triaflex. Designed to specifically work with chocolate bars, the Triaflex comprises a loading unit that can integrate up to four deltastyle robots. The robot arms are all controlled by a single Indramotion MLC, a combined motion, logic, and robotic control unit from Bosch Rexroth. A single Triaflex Delta robot achieves speeds of up to 120 cycles per minute. Through the simultaneous picking of several products using a "multi picks” gripper system, the delta robot can handle up to 300 products per minute. Festo’s new high-speed Hgantries and T-gantries are claimed to be 30% faster than conventional handling systems. They combine the dynamic response of a linear motor handling system with the costs of a toothed belt handling system. 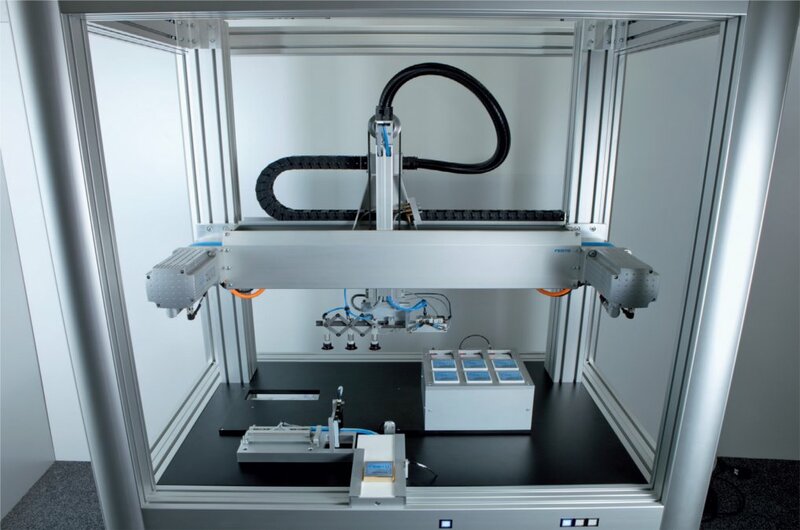 These two handling systems are alternatives to robots with Delta kinematics and SCARAs. Festo delivers the systems directly to the machine, ready to install and adapted to all required machine interfaces. The high-speed Tgantry can easily achieve cycle times of 670ms, making it a highspeed pick and place unit with a higher dynamic response than a conventional linear gantry and one which can be scaled to any stroke. 3D Printing, CNC Machining or Moulding?